Dr. Jeffrey Klein is a well-known medical oncologist in Encino, California. He received his medical diploma from Northwestern University Feinberg School of Medicine. Dr. Klein completed his medical education with a residency in Internal Medicine at Rush University Medical Center, another residency in Internal Medicine at Case Western Reserve University – Metro Health and a fellowship in Medical Oncology at Rush University Medical Center. He is certified by the American Board in Internal Medicine, Medical Oncology, Hospice and Palliative Medicine. His subspecialty is General Oncology. 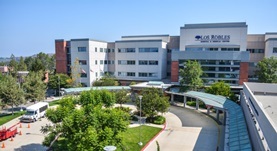 This doctor serves in many hospitals in the area, including: Los Robles Hospital and Medical Center, and VITAS Innovative Hospice Care of San Fernando-Ventura.